The Department of Health and Human Services’ Office of Inspector General recently issued the “2012 Top Management and Performance Challenges” for the year, summarizing the 10 key management priorities facing the agency. Each year, grants management always seems to be one of those significant challenges, and this year is no different. This is especially important as HHS is the largest grantmaking organization in the federal government, awarding more than 82,000 grants totaling about $382 billion in fiscal year 2011. 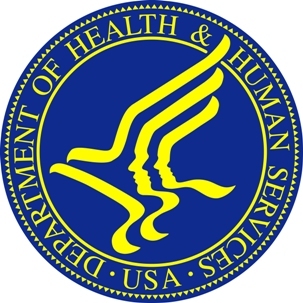 OIG states that oversight and management of both new and continuing grant programs is crucial to HHS’ mission, yet recent OIG reports have found internal control deficiencies, problems with financial stability, inadequate organizational structures, inadequate procurement and property management policies, and inadequate personnel policies and procedures among grantees. For example, recent audits of American Recovery and Reinvestment Act grantees determined that those grantees did not maintain financial management systems that accounted for grants separately, appropriately allocate direct and indirect costs, or maintain documentation to support property records and actual personnel costs charged to the grant awards. HHS is working with OIG to address audit findings, implement recommendations and provide updated information on recoveries of unallowable costs related to grant programs. It also is working with its operating divisions to strengthen program integrity efforts and identify programmatic risk using a uniform risk management approach. Still, OIG said HHS needs a sustained focus to address vulnerabilities in its grant programs. Other key management issues in the 2012 report include implementing the Affordable Care Act; identifying and reducing improper payments; preventing and detecting Medicare and Medicaid fraud; and protecting the integrity and security of health information systems and data. It’s good to see that OIG is keeping a close eye on HHS’ grant programs and continues to place proper grants management among its top priorities. One would hope that when OIG issues the top management and performance challenges next year, it will have a much rosier outlook on the oversight of its grant programs. If you are an HHS grantee, do you feel that your program is managed effectively? What about a grantee of other agency programs. Let us know.